Union minister Shripad Naik dismissed any possibility of dissolution of the Goa Assembly and expressed confidence that the Parrikar-led government will complete its term. PANAJI: Union minister Shripad Naik said Sunday there has been an improvement in Goa Chief Minister Manohar Parrikar's health but he needs to take rest after returning to his state from New Delhi. 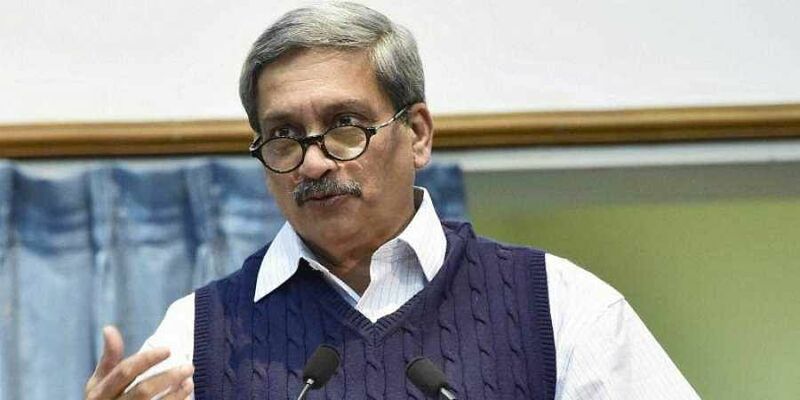 Parrikar was Sunday discharged from the AIIMS, New Delhi, where he was undergoing treatment for pancreatic ailment since September 15 and is likely to return to his home state, sources said. Naik dismissed any possibility of dissolution of the Goa Assembly and expressed confidence that the Parrikar-led government will complete its term. Questions over the stability of the Goa government have been raised by the Opposition Congress because of Parrikar's illness. "Parrikar will be arriving in Goa this evening by a special flight. From the airport, he will directly go to his private residence at Dona Paula," a senior official in the Chief Minister's office said Sunday. Naik, the Union AYUSH minister, said it is okay if Parrikar undergoes treatment in Goa but he needs to take rest. "There has been an improvement in his health compared to what it was when he was flown to AIIMS last month," the Bharatiya Janata Party (BJP) leader told reporters here at the sidelines of a function. The minister said he had met Parrikar on Friday. "I got the news that he is coming back but I can't believe that he is returning. His health is improving and he was expected to stay at the AIIMS for a few more days," he said. Naik, who is part of the Goa BJP's core committee that met Parrikar in Delhi on Friday to discuss about the development in the state, said there was no proposal or possibility of dissolution of the state Assembly. "This government will complete its tenure of five years," he asserted. State Health Minister Vishwajit Rane said elaborate arrangements have been made at Parrikar's private residence where a team of doctors from the state-run Goa Medical College and Hospital will take care of his health. Parrikar had Friday held meetings at the AIIMS with party leaders as well as allies to discuss ways to ensure that his government functions normally. He is expected to shed "many" of his portfolios after Dussehra, according to ministers who met him in the hospital. The core committee is the BJP's key decision-making body in Goa, comprising senior leaders like Parrikar, Naik and party state chief Vinay Tendulkar, among others. In the 40-member Goa Assembly, the Parrikar-led government has the support of 23 MLAs. These comprise 14 BJP MLAs, three each from the Goa Foward Party and the Maharashtrawadi Gomantak Party (MGP) as well as three Independents. The Opposition Congress is the single largest party in the state Assembly with 16 MLAs.